Viewed from the street, this award-winning house gives little away. It seems pretty conventional at first glance, its pitched roof and modest entrance fitting unremarkably into its suburban surroundings on the periphery of Glasgow’s Whitecraigs conservation area. 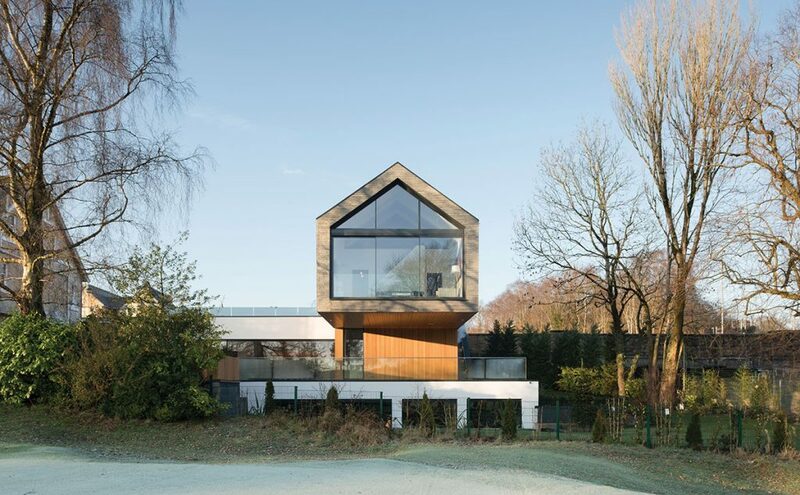 But if you could see it from the other side, from the fairways of Cathcart Castle Golf Club which forms a leafy, green outlook to the rear, an entirely different picture emerges: “It’s a highly glazed dramatic modern house on a number of levels with connections between the internal living spaces and garden terraces through a fully openable glazed façade,” says its architect, Murray Henderson of Glasgow-based practice HAUS. What has been built here is all the more remarkable given the constraints of the site – a precipitous slope tightly bound by the golf course, a railway line and the road. It had formerly been the garden of a Victorian house, and its owners had approached HAUS in the hope that he could come up with a contemporary design that would not feel limited by the plot. Happily, the architect viewed the restrictions as an opportunity and set about finding a way to make them part of his design. The position and orientation of the house and its terraces was carefully worked out to minimise any overshadowing and to maximise the light and the south-facing views. To that end, most of the sleeping accommodation lies at the lowest level of the house, where it is ‘burrowed’ into and protected by the gardens. 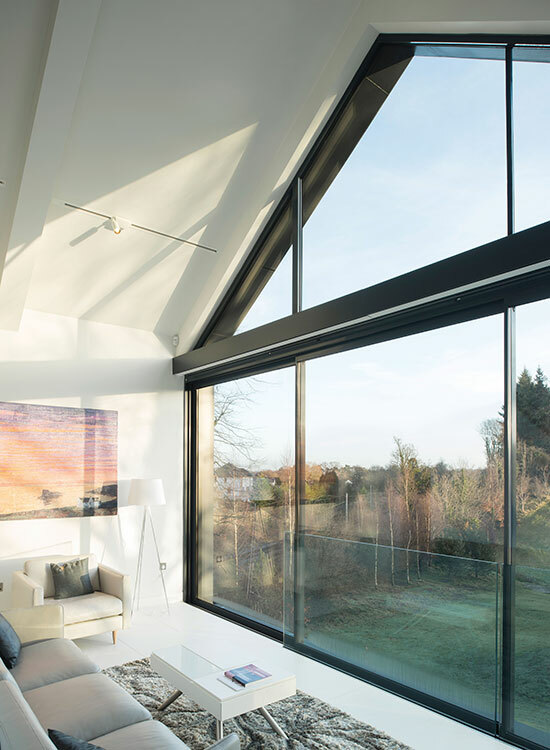 Each bedroom opens to the grounds through a sliding glazed wall. 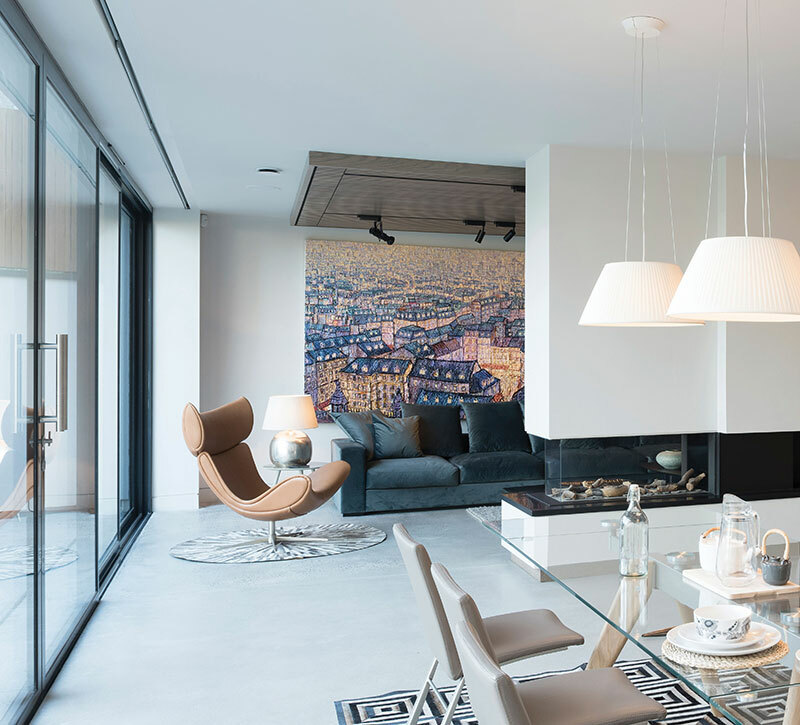 As you enter the front door, you are led down towards the main living area with its wall of glass (by IDSystems) where the vast kitchen, dining and living spaces are connected to the terrace and to the gardens below. Appearing to float overhead is the cantilevered master bedroom suite, held in suspension above. This, says the architect, “affords it elevated south-easterly views across the golf course as well as seclusion from the rest of the house”. The materials palette is full of interest and texture. The fully insulated concrete structure is clad in Siberian larch from Russwood and K-Rend render. 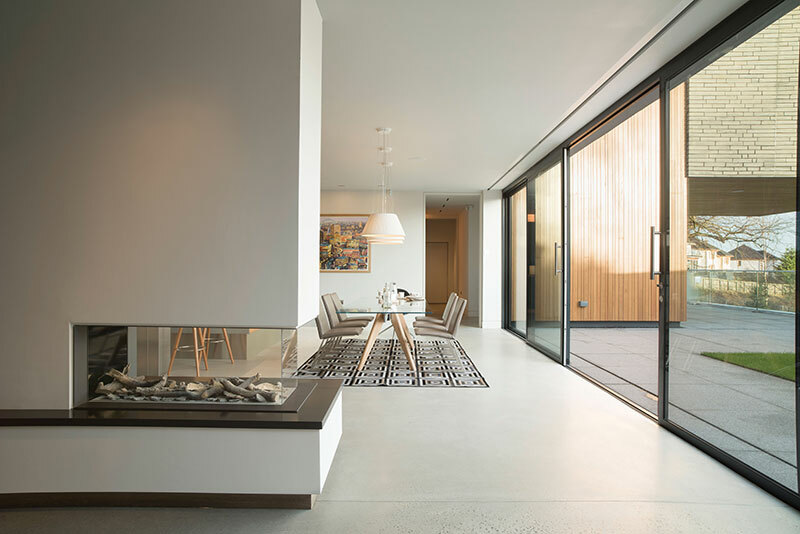 Further timber elements have been incorporated “to provide a tactile warmth where people interact with the façade directly” via the entrance door, garage door and barbecue area. Specialist craftspeople from Allan Hume Cabinetmakers made the front and rear doors and took charge of all the internal joinery. Caithness stone features to the street façade. 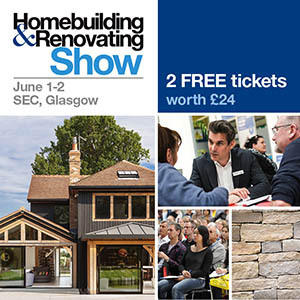 Both it and the roof slate were chosen to reflect the Scottish vernacular tradition within the conservation area. 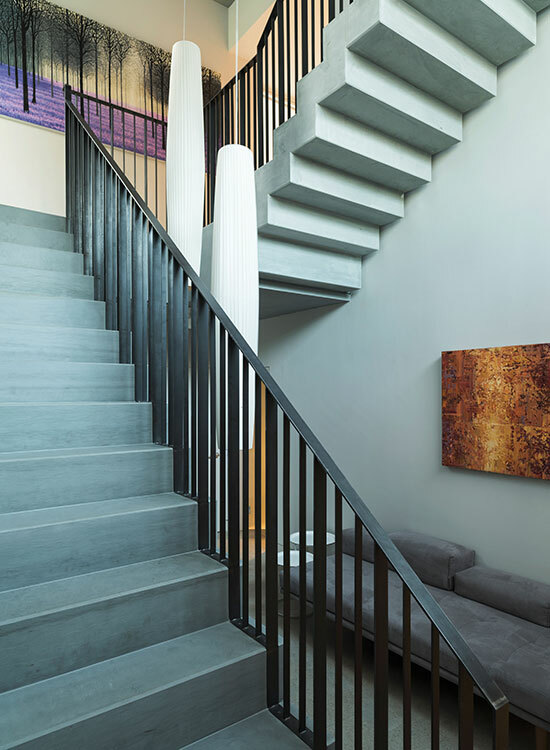 The quality of the internal finishes is just as high, with the polished concrete floor by Cemex and the crafted stone stairs particularly standing out. The stair was designed by HAUS and Interspan in collaboration with stonemason David Hargreaves, who was also responsible for the Dunhouse Blue stone stairs outside. It’s no surprise to find a house like this is equipped with all the latest tech. 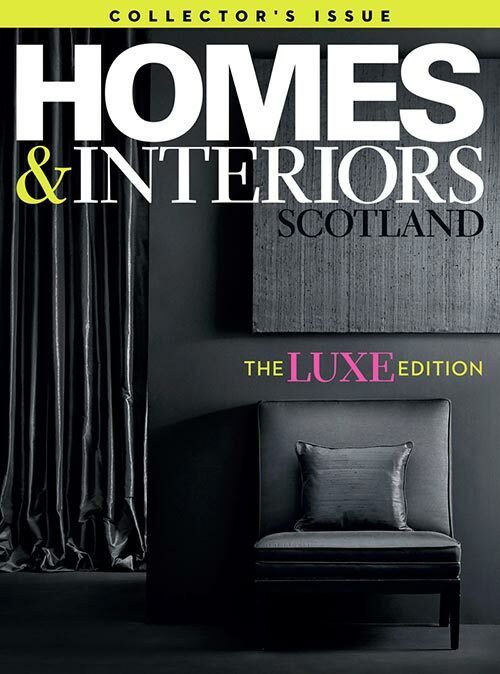 A Lutron Homeworks system controls the blinds and lighting throughout; CAT 6 cabling, speakers and Sonos amps are in every room; and as well as architectural lighting by Edinburgh’s Foto-Ma, there is a range of bespoke Italian lights from iGuzzini, Simes, XAL and Orluna. A full-house underfloor heating system and heat-recovery system are in place too.